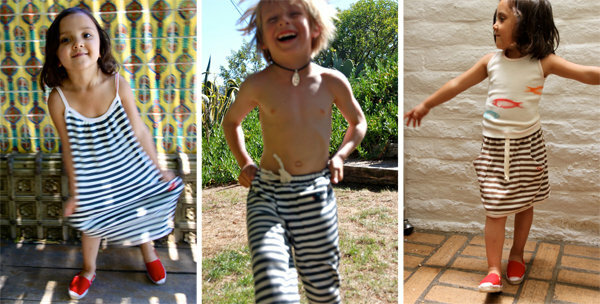 Babyology Exclusive – Entertaining Elephants organic fashion now at Red Nest! Stripes capture my attention no matter what colours they come in and this new collection to Australia is floating my boat in a big way! You heard it here first people; Entertaining Elephants has arrived in Australia exclusively at Red Nest with the stunning organic collection Sailor Stripes. 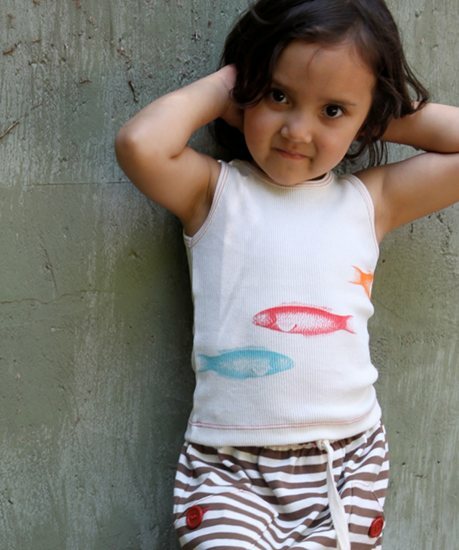 Modern and fresh, this collection embraces the beach lifestyle and embodies the freedom kids love in clothing. Made of organic cotton, the pieces are a charcoal stripe against a cream background. The organic cotton is incredibly soft and huggable, but tightly woven to last through many washes. Get this gorgeous brand from Red Nest which is the only stockist in all of Australia. Staying one step ahead is Red Nest’s speciality and a number of international brands such as Shampoodle and BOdeBO have arrived here first as a result of Mary’s incredible sourcing ability. We love to give credit where credit’s due and Entertaining Elephants is sure to be another Red Nest hit!